"Not the best experience so far"
The system seems to be decently user friendly. I don't know if we just do not have enough experience or not enough support but there are several issues that seem to make processes very manual and we can't seem to figure out why they would be that way. Make sure you have good implementation and have an experienced customer service representative helping you along the way. Not sure what happened ours but we keep growing as a company but are left to figure out things on our own. It holds all of our accounting information in one secure location. We moved from version apps 7.5 to version apps 9, from Oracle 11g back end to 12g. Interface in apps 9 is much more appealing to the eye and easier to navigate. Lobby's is new new addition which allows for having multi screens on one page, dashboards for high level viewing of projects and activities statuses. Current support in South Africa is still troublesome, the migration from apps 7.5 to apps 9was not a smooth transition by the local support team. There were numerous database refreshed and application refreshes due to bugs and poor project planning. But through all of this we have persevered and the system is running with lower manageable level of issue, in which required more senior level admins to assist. IFS is a good ERP SYSTEM for project based companies (EPC), Support in SA is fairly limited and could use an improvement, use of the product is not high noticeable in SA as apposed to SAP, Sage..etc But the App9 has really been a major step up and in the right direction. Through all the pains, excited to see how this product evolves. Apps 7.5 was an outdated version in which support and development had lapsed. Moving to the new system allowed for a more user friendly GUI appealing interface and up to date support for the product. A refreshing change for our users and allowed us to transition with minimal customization. "Less Expensive considering other mainstream products. " Not as expensive as other more popular solutions. Like anything cheaper, this platform doesn't have all the features that some of the more expensive solutions have. You won't find many other solutions that have readily available integration with IFS. Most of the integration has to be customized which is obviously not cheap. If you are constrained by budget then this is not a bad solution that will get the essential jobs done. Managing our whole business - products data, customers data, vendors and supplier data etc. The system can be manipulated to make life much easier, which is a huge plus for me. WE have multiple countries that provide information so consolidating all that into an easy to use system is great. The learning curve for this system was a bit longer for me, personally. Although it was my first time using this type of system I would've hoped it'd be easier to get started. Managing multiple entities from many different countries is difficult but this system allows everyone to use the same system fairly easily. "Buggy but is getting better"
It opens? Time entry works but can be error prone at times. Expenses are fairly easy to add to time. Its not intuitive but you can set a shortcut for consistent time entry. Seeing your overall time entry can be a pain as you have to go week by week. I have to right click and add details to enter invoice comments? Why not use the blank space at the bottom. Short codes are in no way short. 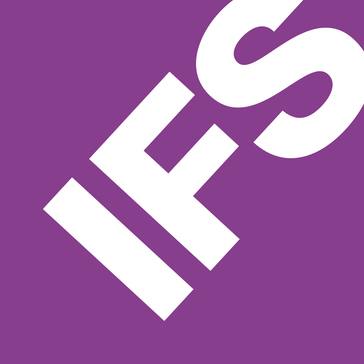 Overall the transition to ifs may be good for a sales team but not for the time entry at least for what I use it. It only updates portions as you click them, so after the initial app update there are a million more on the way to time entry. It will get better as it has been since go live but I feel like some easy functions are too buried and cumbersome for standard users. Supposed to be unifying our sales and engineering time entry with the ability to see invoices and sales slips together. And to see overall sales and financials. We also ise it for resource planning of sales and engineering forces. "IFS Implemented for 2 years"
One of the many benefits on IFS, is the Customer 360, where you are able to view outstanding orders, credit, invoiced orders, address and contact information, and other helpful information, all in one place! The function to search can be a bit laborious, for example you cannot type the letter "A" and a list of things begiining with "A" appear. Instead, you have to use percentage signs and actually abe a bit more specific with your search. If your business is an FMCG, or involves warehousing or logistics, and any manufacturing, then IFS is a very suitable ERP system. A benefit has been our requests for quotations to suppliers of freight services, we solved a business problem of manually sending out requests for quotations, and manually making ourchase orders, to implementing quote requests on IFS, and the great thing is, is that for quotes that are accepted, you can very quickly convert the quote into an order, which saves extra time filling in repeat information, on a day to day basis. "Not amazing, but not too bad"
The large searches mean that they can be slow to return data and require a certain way of searching to enable a better result. the process that goes into modifying a form. In order to modify a form, there must be journals entered. Recommendations of modification must be listed and explanations. The process doesn't happen overnight and can get frustrating. "Very Easy to Use but Support needs work." I think my favorite aspect of IFS was the ability to add notes to orders and the userface was very friendly for every user. I remember trying to work with the IFS consultants and I got the vibe that they didn't even know their own software. Minor bugs that eventually were updated but was kind of frustrating when reaching support. You should definitely have a computer with multiple monitors because having multiple windows open on a single monitor was frustrating. There are many functionalities. I think the number one function was the supply-chain management and the work order fuction. The ease of the interface. You can start using it before you even have had training on it. We are unable to modify some of the data (such as unit of measure) once it's imported. Get a good consultant to help with the migration. Multi-site process and inventory management. "One of the best ERP software in the market"
"Convinient but needs more user manuals"
Needs more customization. It's not very easy to get reports. Online help is very generic. "Solid tool that the users love to hate. 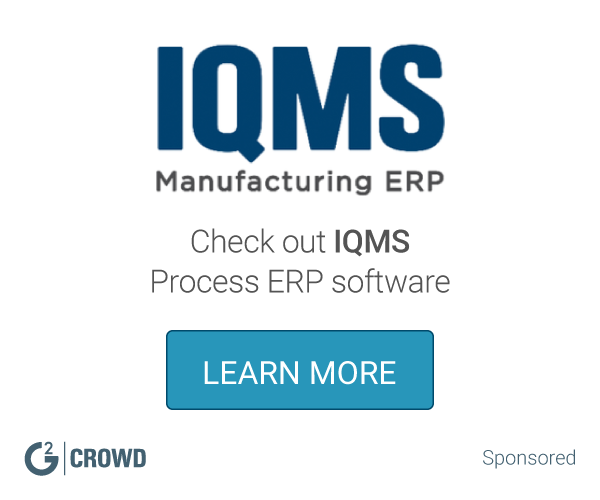 I don't think anyone likes their ERP system..."
Solid tool that did the job we really needed. My challenges were a result of using the 2003 version in 2012. I am quite confident the current versions resovled most of those issues. Solid tool just don't customize. * We monitor all IFS ERP reviews to prevent fraudulent reviews and keep review quality high. We do not post reviews by company employees or direct competitors. Validated reviews require the user to submit a screenshot of the product containing their user ID, in order to verify a user is an actual user of the product. Hi there! Are you looking to implement a solution like IFS?